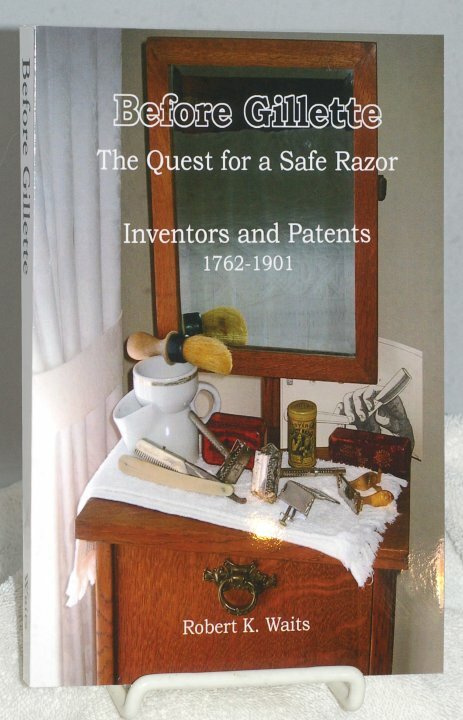 From the Introduction - This book is a compilation, in more or less chronological order, of over 120 inventions by dozens of inventors that played a part in the search for a safe razor prior to King C. Gillette's first patent application in December, 1901. Written by Robert K. Waits, the author of the famous "Wait's Safety Razor Compendium", this book has 264 pages of information, illustrations, photographs and stories from the early history of the safety razor. 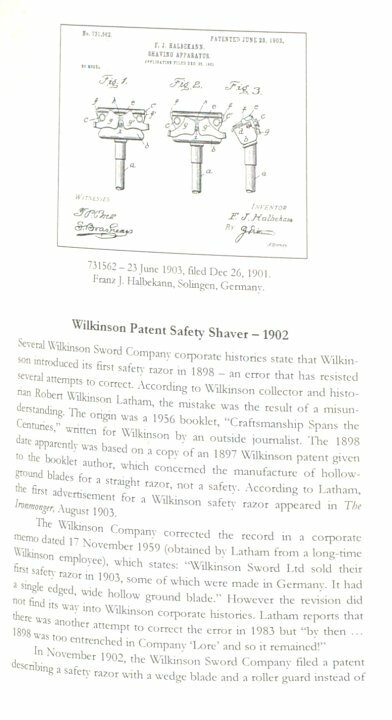 Beginning with safety guards placed on straight razors, the book covers the period of 1762 through 1901 and describes not only the hardware, but the links between the different designs. Nothing happens in a vacuum. 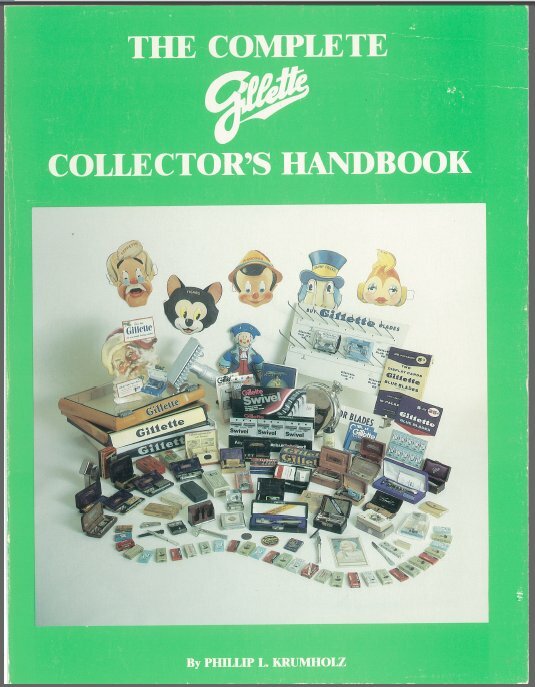 This book helps explain the context of the different razor designs. Very interesting and informative. This is a new, paperback edition, measuring 9"x6". The abundant photos and illustrations are in black and white. 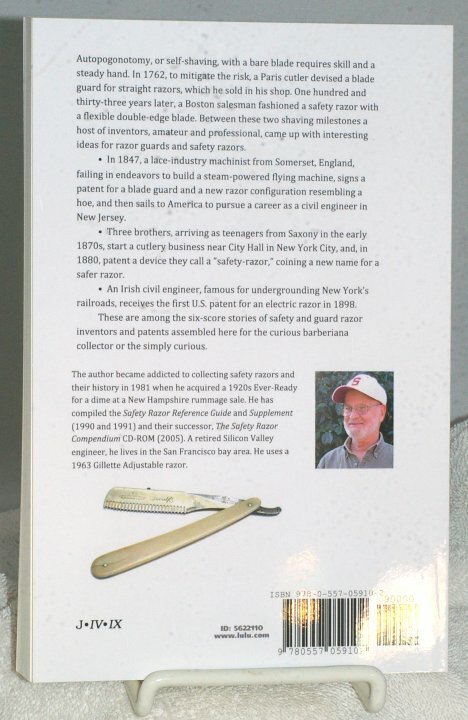 If you've wondered about the history of the various safety razor designs, or just enjoy a good read about inventors and invention, you will enjoy this book. I know I've enjoyed my copy.